The history of Daugavpils School of Art and Design named “Saules Skola” or “Sun School” begins in 1917, when by the initiative of a cultural society “Saule” (“Sun”) courses on sewing and craftwork were opened in the town. At the beginning of the 1920s it became a school of needlework and in 1927 it was granted a status of women’s college. Since its very beginning Daugavpils Saules Skola along with schools of Arts in Kurzeme and Vidzeme regions, organically got involved into the new arts and crafts education system, established in the Republic of Latvia for preservation and promotion of Latvian cultural traditions. At the same time, Saules Skola has preserved its connection with Catholicism, as well as it cared for women’s education and social integration. Over the past 100 years, the school has changed its name many times – Female School of Latgalian Latvian Roman Catholic Cultural Society “Saule” (1917-1940), Daugavpils Art and Crafts High School (1944-1953), Daugavpils Secondary School of Applied Art “Saules” (1993 -2001), Daugavpils Secondary Art school “Saules” (2001-2012), since 2012 – Daugavpils school of design and arts “Saules Skola”. 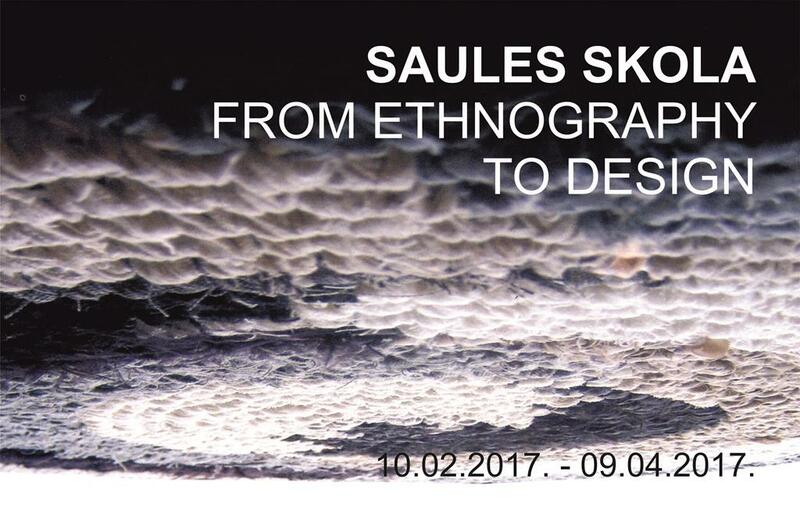 The exhibition “Saules Skola from Ethnography to Design” was created as an overview of the school work in the last 25 years. In 1992 a wonderful staff of art teachers gathered at the renovated building of Saules skola. Based on the experience of Riga and Rēzekne School of Applied Arts it, in a short time, successfully joined the cultural education system. One of the school’s tasks was to study Latgale and Latvian ethnography. Teachers and school students were researching Latgalian folk costumes; they also studied the authentic towels, scarves and blankets at local museum storages. They studied the combination of colours that are typical for Latgale region, as well as national symbols and their meanings. The ethnographic part of the exhibition displays copies of national costumes made by students of the school. The folk art found solutions for contemporary objects and spaces in the design. Objects presented in the exhibition are created with natural materials, laconic/minimalistic compositions, contrasts of colours and textures. Widely represented textile design works with a mixture of traditional technique and modern compositions. In their woodworking pieces students express natural features and patterns of the wood. The program of fashion design clothes stand out for their elegant silhouettes, which are complemented by subtle colour combinations. The merit of the exhibition of interior design and visual advertising program is a spatial solution. Today, “Saules Skola” provides modern design education, based on clarity of composition, functionality and the concept of tectonics, the study of technologies of production and search for innovative solutions. Over time, the content of education programs changes, the school acquires modern equipment, however values and objectives of “Saules Skola” remain unchanged.